On Tuesday, a few days before what I expected was going to be splendid weekend of watching some great international rugby, I started going through my Foxtel channels in the expectation of recording the Wales v Australia Test, the New Zealand Maori (the best non-Test side in the world according to the USA coach, John Mitchell) v a USA side and New Zealand v Ireland (both matches in Chicago) and South Africa v the Barbarians. 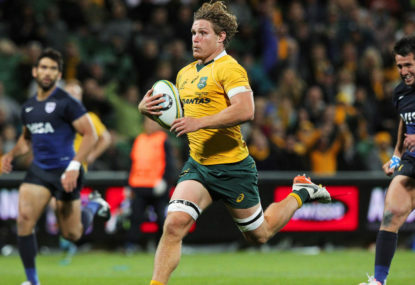 There was nothing on Channel Ten, the free-to-air proprietors of the Wallabies Test matches. There was nothing, either on Fox Sports. There were entries for Anglo-Welsh competition matches, whatever they are. After some searching I found the Wales v Wallabies Test on the beIN Channel. So I recorded this. beIN apparently replaced the old Sentanta, a channel that used to play a lot of European rugby Tests. The channel is now owned by the Al Jazeera Network. beIN is going to present the Ireland and Scotland Tests against the Wallabies. But, so far, not the Tests against France and England. As for Fox Sports broadcasting the Springboks, All Blacks and Pumas there are entries on their schedule for Wales vs Argentina on November 13 and All Blacks v Ireland on 20 November. I rang the Foxtel information number, 131 999. A pleasant person, presumably from somewhere in Asia, told me that nothing more than that was scheduled on Fox Sports for the Wallabies, All Blacks, Pumas or Springboks. He couldn’t give me any information about the coverage of all the other Tests involving these southern hemisphere powers, after asking his supervisor, because there was no information. I asked him if he could actually find out what was going to happen in the coming weeks. The information person told me that he would ring back with further information. I gave him my phone number. Days later I am still waiting for his call. I took a cue from a link provided in a comment on The Roar discussing these matters and logged into #TeamAllBlacks. Apparently, you can stream the two matches in Chicago from this site. The matches, by my calculations, start on Saturday around 11am (AEDT) and Sunday 7am (AEDT). My problem is that I am totally incompetent in these matters of streaming and so on. I don’t like my chances of getting these games up. But most other readers of The Roar, presumably, will be more technically literate than me and could get these streamed matches up. Someone, also, told me about a digital channel called RugbyPass that is the exclusive rights holders for the Autumn Rugby Internationals. Unfortunately, the market for RugbyPass only embraces 23 Asian countries. Think of a rugby equivalent Netflix and you get a sense of what RugbyPass offers. Australia does not come within the definition of one of the 23 Asian countries for RugbyPass, unfortunately. It is bizarre to me that someone, say an Australian expat in Singapore, is going to be in a better digital situation to watch the Autumn rugby Tests than supporters here in Australia. Now, I am as I have suggested incompetent and illiterate when it comes to technology, so I just state the following without understanding exactly what it means. I have asked people who do know about these things and I was told that using a VPN someone in Australia or New Zealand for that matter could access RugbyPass. So as I write this on Thursday, rugby followers in Australia can watch the Wallabies defeat (hopefully) Wales on beIN, a channel that goes out over the Foxtel system. But there is no free-to-air broadcast from Channel Ten. There will full match coverage of the Wallabies Tests against Ireland and Scotland but so far no such coverage of the Tests on BEIN, or any other channel, of the Tests against France and England. 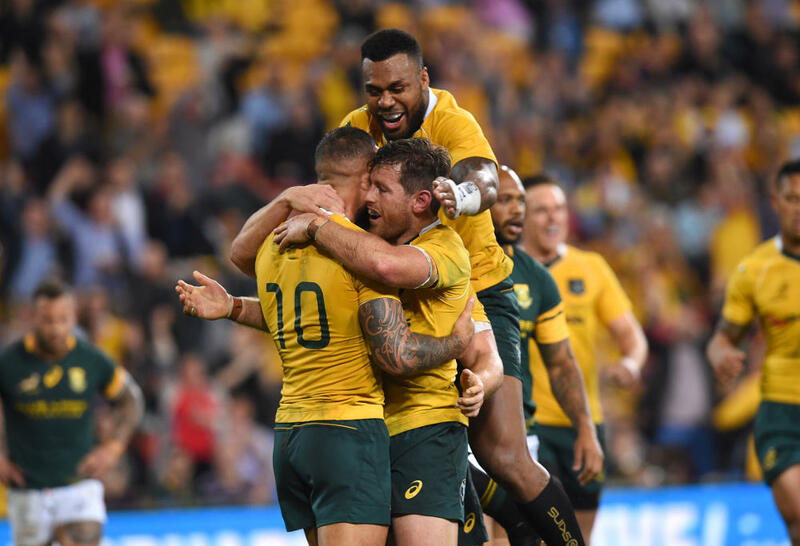 So Wallaby supporters might be denied the chance, if the Test against England needs to be won by the Wallabies for their 2016 Grand Slam, of seeing a potentially historic match. I could not believe it when I read the news in The Daily Telegraph yesterday (under the heading: Wallabies fans face Spring Tour TV blackout over three decades) that I would not be able to watch the coming Test matches on free-to-air TV. The article pointed out that ‘The last time there was no free-to-air coverage of the Wallabies Spring Tour games was in 2009.’ This is outrageous, I thought. Given the recent criticism of Mr Pulver and the ARU by Brett Papworth supported by a number of legends of the game (as covered in detail by Spiro Zavos in The Roar last month) and also given what has been a disappointing year for Australian rugby in general, I would have thought the ARU would have gone to all lengths to ensure that the Australian rugby public and the Australian rugby supporters would be able to watch the Spring Tour Tests on free-to-air TV. Instead, there is no free-to-air coverage of any Test and possibly no coverage of the France and English tests even on Pay-TV. My understanding is that under the anti-siphoning laws FTA channels have the first opportunity to negotiate a deal with the owner of the television rights to the Tests, in this case, the home unions, for example the English rugby union in the case of the Twickenham Test. This right expires 12 weeks prior to any Test after which Pay-TV can negotiate a deal. According to the Telegraph article, the home unions were demanding too much money and FTA channels could not afford to buy in and it seems the French and English games were to expensive for even Pay-TV in this country. 1. In negotiations with the various home unions and French Rugby to arrange these Tests is television coverage for the games discussed? Assuming the answer is yes, what did the ARU do to ensure the games were seen on Australian TV? 2. Given that promotion of rugby in this country has to be a primary objective of the ARU, can the ARU explain why in its negotiations it was unable to secure television coverage? 3. If the answer to the last question is that the ARU is not in a position to interfere with another nation’s sale of its TV rights to the Test, I would ask why not? Should it not be considered just another part of the negotiations: after all the ARU wants to promote rugby in this country and putting games on television is great advertising? These are all excellent questions. I have contacted the ARU and raised some of the points raised with a spokesman. He preferred to talk to me on the phone, rather than answering questions on email. The gist of what he had to say was that the ARU has no broadcasting rights to overseas Tests involving the Wallabies. The broadcasting rights belong to the host unions. The ARU spokesman sort of confirmed that the asking price for the Tests against France and England was probably too high for the free-to-air broadcasters. He did confirm, though, that if Channel Ten backed away from taking up its Wallabies rights there was nothing to stop the other free-to-air broadcasters (including the ABC) from doing the coverage themselves. “There’s actually not much we can do in these matters,” he told me. He said that the ARU had known that the outcome was going to be difficult to resolve. But these things had happened in the past and somehow the negotiations had been resolved satisfactorily in the end. I told him it was unacceptable for rugby supporters in Australia that two of the Tests might not be broadcast on television. And that is where we left the conversation. I had one more question written down to ask him but didn’t have the heart to put him on the spot with it. Somehow I don’t think so. My guess is that Bill Pulver will be in the stands at Twickenham, as chief executive of the ARU, watching the Wallabies, hopefully, putting England to the sword. As they say, someone’s got to do it!